OH BABY!! Here we grow again! Haha! I just had too! Our church, Elevate, is growing again and I couldn’t be happier for these beautiful mamas and their families!! 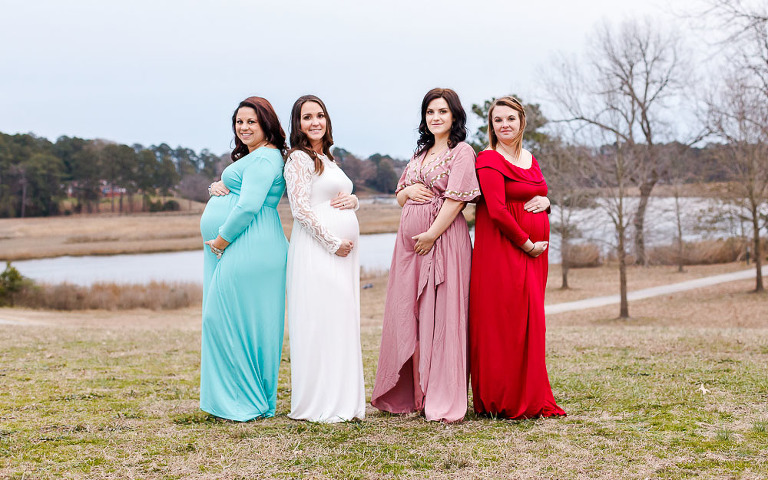 After hearing so many amazing pregnancy announcements from women at our church over the past few months I just had to try to get them together for a group maternity session. We are going through a baby boom at church and it’s the best thing ever. There are so many beautiful women expecting at Elevate, these photos only represent a small handful. Our pastor jokes that we are a very fertile church, but it’s true. God is blessing Elevate and these wonderful families!! I’ve never had the opportunity to photograph a group of expecting mamas before and it just sounded so fun. It ended up being chillier than we expected, but these mamas didn’t complain. I can’t wait for all these precious babies to arrive! We’ll have to do another session with all the babies in it next year! Thank you to theses sweet ladies for being amazing models and willing to brave the chilly weather. You all are just gorgeous and I cannot wait to meet your sweet babies. Congratulations to all the expecting mamas at Elevate Church.